Switching columns was such a hit last year, the newsletter team leader Kathy Ptacek decided we should do it again. Last time I wrote about the Cemetery On the Hill in Romania, so for this year’s column switch I’m writing about the first cemetery I’d ever visited on purpose—St. Louis Cemetery No. 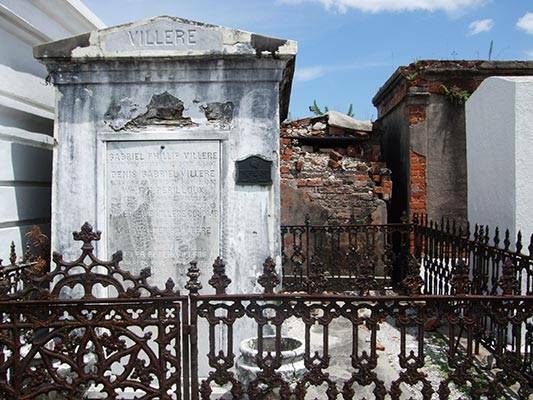 1 in New Orleans— also famous for being one of the most haunted cemeteries in the U.S.
St. Louis Cemetery No. 1 replaced the former St. Peter Cemetery after a city fire in 1789. There is no date listed for when the St. Peter Cemetery was established, but it had to be when Europeans started settling the area. 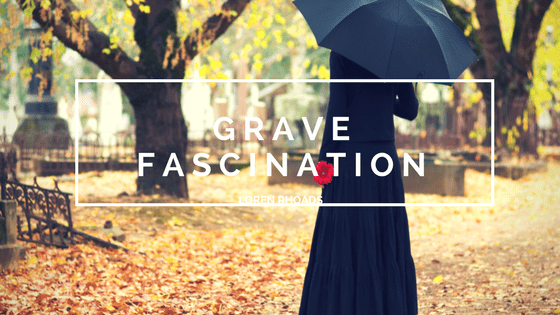 It’s also a very crowded cemetery with thousands of people buried in just one square block, layered one on top of the other until the above-ground mausoleums were erected. 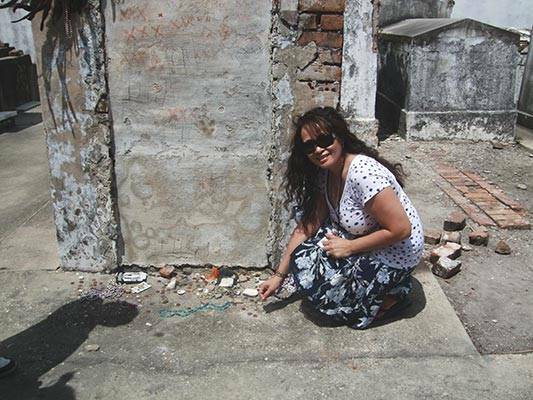 I was very fortunate to visit the cemetery in 2009, because in March of 2015 the Roman Catholic Diocese of New Orleans closed it to the public after incidents of vandalism. You may still visit the cemetery with licensed tour companies that are allowed access but must pay fees. In May of 2009 I’d gone to New Orleans to meet up with a childhood friend and neighbor who I hadn’t seen in thirty years. She was visiting the city with a writer friend of hers who was a guest at the annual Saints & Sinners Literary Festival (AKA SASFest). At the time, I’d only just started writing my very first novel, so I thought it would be the perfect place to visit my friend and check out a writing community. It was one of the best decisions I’ve ever made. First, I must thank the staff and guests at SASFest for their warm welcome. I felt like I’d been a writer for years. I’ve yet to meet a friendlier group of authors. I did my first reading there, my first pitch there (off-the-cuff), and just so many firsts, it was a wonderful experience. Plus, I got to hang out with my friend, and it was like we’d kept in touch all those years. Except she’s not a writer, preferring instead to be a tourist. So, after doing some research, I thought we should check out the place where the tomb of famous Voodoo priestess Marie Laveau was. Especially since I’d decided that I mainly wanted to write in the horror genre. We set off walking down Bourbon St. from The Bourbon Orleans hotel after breakfast and couldn’t have asked for a nicer day. The sun was shining, and the sky was a brilliant blue. The distance from the hotel to the cemetery is a half mile, but we walked and talked and got sidetracked. We ended up having to stop and ask a policeman for directions. As we trekked onward, the temperature rose. The breezes flowing down the cross streets were blessings by the time we finally got to the cemetery. Once inside, as we walked among the taller mausoleums, no semblance of a breeze reached us, and we grew even hotter. In between fanning ourselves with our hands, we took a few pictures. While photographing one of the gravesites that looked interesting to me—it had an open gate that hung crooked—a man approached us from what seemed like “out of nowhere” and asked us if we’d been to the cemetery before. We told him that we hadn’t, and he proceeded to tell me that the mausoleum I was taking a picture of was one that had influenced Anne Rice when she wrote the vampire character Lestat. We had no idea if he was telling the truth or not, but we still found it interesting. We then moved on to check out another grave, and the man followed us. It creeped us out a little, but he was very friendly and there were two of us, so we let our awkward feelings about him go. The grave we’d moved on to had a lot of gifts in front of it and white marks on its sides of the letter X. He informed us that many tourists think it’s Marie Laveau’s grave, but it is not. 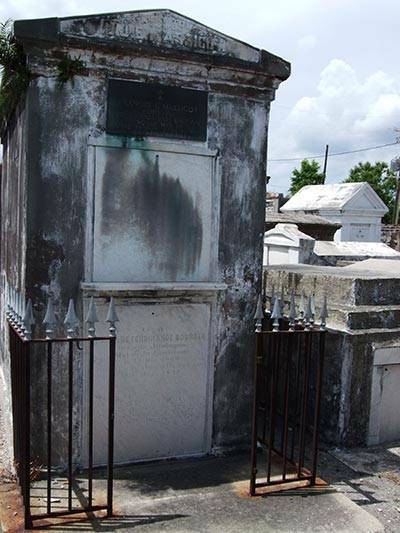 It is the mausoleum of a prominent government figure in New Orleans who was a relative of Marie Laveau. He then took us to where Marie Laveau’s true (unmarked with a name) resting place stood. My friend and I then made our wishes and X marks. (I will note that all three of the wishes I’d made that day have since come true.) We thanked our impromptu tour guide for his time, and I offered him some money. He refused to take it, which I thought was strange since there are many buskers along Bourbon St. who make their living from it. But we were done, so my friend and I rushed from the cemetery, sweltering and thought no more of our experience there as we stopped into the visitor’s center to cool off in the air-conditioning. It is only now I can recall while writing this that everything about the visit to the St. Louis Cemetery No. 1 was strange. The reasons are so many when I think about it. I couldn’t describe what the man looked like who approached us in the cemetery even the day after we’d visited the place. I couldn’t tell you what he was wearing that day or what color anything he wore was, but I do remember wondering why he wasn’t sweating like us in his long pants and long-sleeved shirt. As often as I go through my pictures—and I am certain I photographed the crooked gate mausoleum (the surname on it began with a V)—I haven’t been able to find the image anywhere in my files and often wonder if I’d ever taken the photo at all. Then there was his not accepting the tip I’d offered. He spoke with a strong southern accent but his words were clear, and he was very articulate. I know he told us his name, but I know I’ll never remember it. It wasn’t until doing the research for this article that I read the St. Louis Cemetery No. 1 is one of the most haunted cemeteries in the country. I’ve always considered myself a skeptic, so I will explain away all the oddities about the visit citing heat exhaustion, but it will be an experience I will always remember in some part. I’ll be returning to New Orleans for SASFest at the end of March. It will be my first time back since the HWA hosted the World Horror Convention there in 2013. 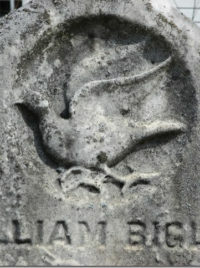 For more information about visiting the St. Louis Cemetery No. 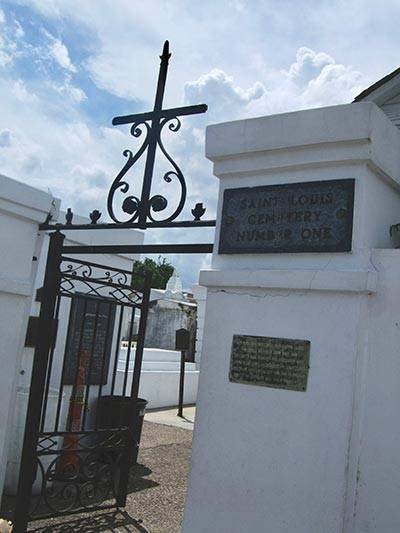 1 and other things to do in the city, visit https://www.neworleans.com/listing/st-louis-cemetery-no-1/32159/. Other sites that host St. Louis Cemetery No. 1 tours are Expedia, Trip Advisor, and Viator, just to name a few. For more information about the annual Saints & Sinners Literary Festival, visit http://sasfest.org/.